Struve's win over Minotauro or Fedor's win over Rizzo? Which is better? Discussion in 'UFC Discussion' started by kikikhan, Aug 2, 2015. Fedor's win over Rizzo. 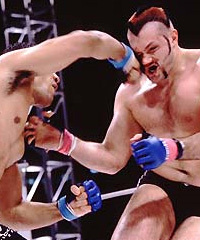 Rizzo was a very good fighter in his day, and actually wasn't broken down when Fedor smashed him in the first round. Struve decisioned Nog, and got tagged, had his back taken and was mounted along the way. Happy Nog went out with some dignity, but sad for Struve that it doesn't look like he can be the fighter we saw starch Miocic anymore. Mate....is that a trick question? The version of Nog that Struve beat today is in the twilight of a long, hard career - he's totally shopworn and needs to pack it in. I love Struve, glad he won. But I don't ascribe him much credit for beating 2015 Nog. Also when my PC is back up and running I will PM you again. Too hard to type all that stuff on my phone! He was sick before the fight, puking. That takes a lot out of you. Don't know if it's the pressure of a panic attack from before, the fact he's fighting in Brazil or the weightcut. Both weren't impressive in my opinion. One would expect more from Fedor though. But again, weird comparison. Big Fedor fan but these Fedor threads are far fetched. Do you think about something else than Fedor? Doesn't seem like it. You should go outside and catch a breathe of fresh air. You're obsessed. You build connections between everything and Fedor all the time, it's ridiculous. Fedor's win over Rizzo was brutal. Comparing Pedro Rizzo to one of the biggest legends ever, you crazy. they're both fights that each guy was widely expected to win against opponents that were fairly far past their best, though it's still a very strange comparison to even make...? Not this poor guy barely able to move. Fedor's win is better. To help you out. No. He beat 2007 and 2009 Monson. Smart man here. Good to see. Monson was never ranked so I wouldn't call him a top win. Jeff Monson is shite. And Pedro hasn't beaten anyone of high calibre since 2002. Unless you think Gary Goodridge is a good fight? She he lost to Gilbert Yvel, lol. Rizzo retired as the nr. 12 HW, he came back after 2 years and he said that he trained very hard and was healthy. And Fedor completely outclassed him on the feet (Rizzo's domain). 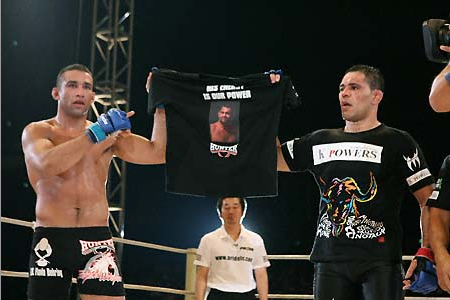 Fedor performed a what is called a perfect victory. Granted, neither one was in his prime, but it is a solid win over a fellow veteran HW great. Especially because he completely outclassed him. I was worried Ruzzo might KO Fedor before the fight, but Fedor totally and completely outclassed him and provided a great finish. The fact ts somehow brings fedor into anything to do with this fights show his obsession is beyond normal and he should maybe see help. The Rizzo fight was an embarrassment for one of the greatest heavyweights that far into his career, that fight was set to be a slaughter. Rizzo was a ridiculous outsider like +700 or something while nog was only +150, add in this was in nogs backyard makes beating this not better than beating that Rizzo. You do a weird Al Bundy thing just because I don't agree with you. Makes no sense. If you're asking something you must allow people to answer? Or do you just want people to agree with you? Fedor is a legend but no need to diss Struve. In their primes they are both in a different league, not fair to Struve. Oh boy. What are you. 12? Monson beat Fujita in 2007 before losing to Rizzo, Ricco in 2008 and Nelson and Kharitonov in 2009 before losing to Rizzo.